Cuba has long been a hotbed of cross-pollinating musical styles, especially when it comes to dance music. Grupo Escobar, an 11-piece ensemble specializing in Cuban salsa and timba, seizes the spirit and energy of those forms, but allows them to evolve by fusing them with cumbia, jazz, Arabic traditional and modern tropical rhythms. It’s a process similar to the fusion that originally developed these styles from African and Caribbean sources. Formed in Detroit by musicians of diverse nationalities and backgrounds, the members of Grupo Escobar deliver a rich, high-energy dance music that brings all of these influences to bear. 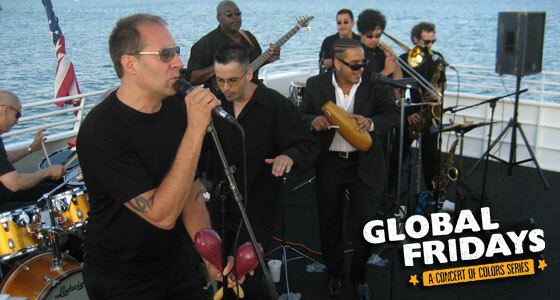 Among the largest ensembles ever to grace the Global Fridays stage.